is blooming overtime...This camellia was planted in 1973. I will be cleaning the flowers on the ground before the Garden Tour on May 3, 2014. If you want anything done around the yard, have a garden tour. You must have a green thumb to have planted that tree in 1973 and it is still blooming. Just lovely and in PINK. Keeping my fingers and toes crossed that everything goes well on the day of your Garden Party. 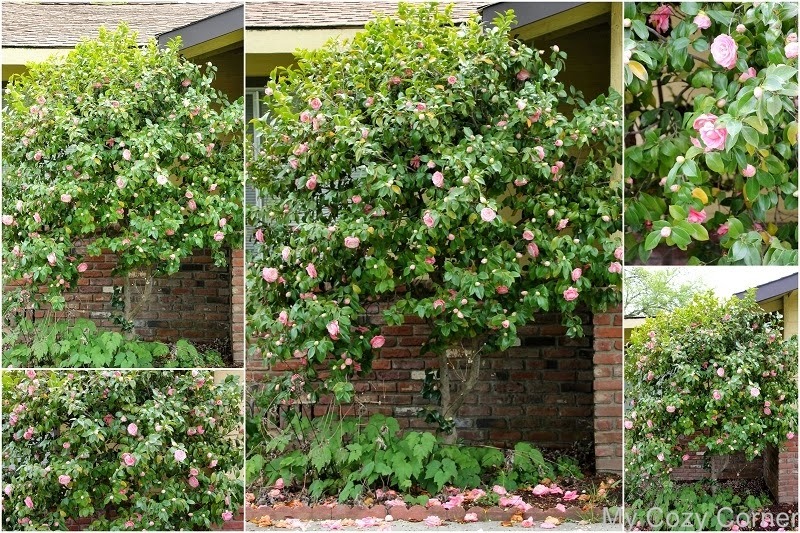 When we built a home in 1971, my aunt gave me three camellia bushes. Only one survived and it is a tree today. It's a rosy red and I think it may be called American Beauty. Every year it blooms in late Feb. in south Ga and always reminds me of her. The plants that are given to you by others are always the most special.